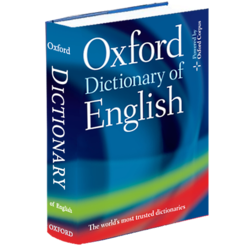 The Oxford Word of the Year is defined as by the dictionary as: 'Poisonous; relating to or caused by poison; very bad, unpleasant, or harmful'. According to OUP: 'Defined as "poisonous" and with its origins in Greek (toxikon pharmakon, meaning "poison for arrows"), the word toxic has added more strings to its poisoned bow during 2018, becoming an intoxicating descriptor for the year’s most talked about topics. 'In its literal sense, toxic has been ever-present in discussions about the health of our communities and our environment with "toxic substance", "toxic gas", "toxic environment", "toxic waste", "toxic algae," and "toxic air" appearing as common collocates in our corpus data. Even "toxic slime" has made the headlines – not to mention the continued discussion around the toxicity of plastics. 'But, it’s not just the physical that has been described as toxic this year. Alongside the literal sense of the word, data shows that people have reached for the word to describe workplaces, schools, relationships, cultures, and stress. Politically, the #MeToo movement has shone a spotlight on ‘toxic masculinity’ while, more broadly, the word has been applied to the environment for debate fostered by the Brexit vote and by the rhetoric of leaders across the globe. Online, social media platforms, from Twitter to Facebook, have come under fire for the toxic impact they have on our mental health. Casper Grathwohl, president of Oxford Dictionaries, said: "Reviewing this year in language we repeatedly encountered the word 'toxic' being used to describe an increasing set of conditions that we’re all facing. Qualifying everything from the entrenched patriarchy to the constant blare of polarizing political rhetoric, 'toxic' seems to reflect a growing sense of how extreme, and at times radioactive, we feel aspects of modern life have become." Primarily a word used in the UK, cakeism is the belief that it is possible to enjoy or take advantage of both of two desirable but mutually exclusive alternatives at once. Typically used in the UK as a derogatory term for an older middle-class white man whose face becomes flushed due to anger when expressing political (typically right-wing) opinions. The action of manipulating someone by psychological means into accepting a false depiction of reality or doubting their own sanity. Incel, short for ‘involuntarily celibate’, is used as a self-descriptor by members of an online subculture who typically deem themselves chronically unable to attract romantic or sexual partners. They hold views that are hostile towards to women and to men who are sexually active. Orbiting is the action of abruptly withdrawing from direct communication with someone while still monitoring, and sometimes responding to, their activity on social media. An excessive number of tourist visits to a popular destination or attraction, resulting in damage to the local environment and historical sites and in poorer quality of life for residents. A strong and widespread negative reaction to the growing power and influence of large technology companies, particularly those based in Silicon Valley. Last week rival dictionary publisher Collins named 'single-use' as its word of the year.